On a recent travel writing assignment along California’s Coastal Highway 1 Discovery Route, I was amazed to uncover a piece of little known history relating to California’s role in WW II and, perhaps, a partial answer to a stain on FDR’s presidential legacy. In 1940, the Navy had already established a presence in Morro Bay, CA with its amphibious traIning base. On December 7, 1941, “A Day That Will Live In Infamy,” Pearl Harbor was attacked. On December 8, the USA declared war on Japan and, interestingly, the same day Japan declared war on America and the British Empire. What is less well known is, by mid-December, nine Japanese submarines were active, plying the Pacific Ocean and sea lanes off the coast of California near Los Angeles, San Francisco, San Diego, Mendocino, Monterrey, and San Luis Obispo in search of tankers. Eleven US vessels carrying oil and lumber were attacked, but only one was sunk. In the early morning of December 23, 1941, Union Oil’s 8,000 ton Montebello left Port San Luis, CA heading for Vancouver, Canada. It was intercepted by a Japanese submarine in the early morning about four miles offshore and, although defensive steps were taken, it was struck by a torpedo and sunk in 20 minutes. Four lifeboats heading for shore were shelled and shot at, but luckily there were no casualties among the 36 sailors. The tugboat, Alma, was one of the rescue vessels which picked up crew members in two of the lifeboats. 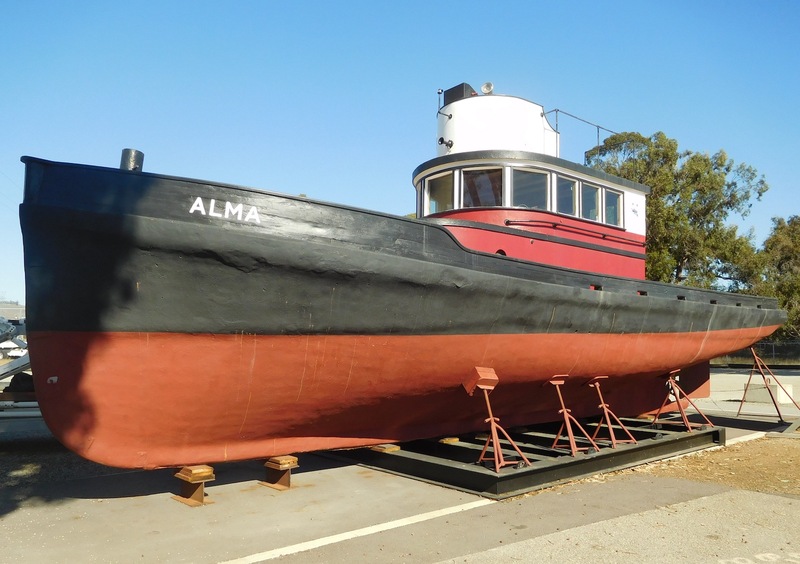 The Alma is now part of the Morro Bay Maritime Association and displayed in town on the Embarcadero. Post Pearl Harbor and the sub attacks, Morro Bay and Rock was used by military recruits for ship boarding practice, beach landings, and assaults. Can it be a coincidence that, after this enemy activity in US waters off the coast of California, FDR issued an executive order on February 19, 1942 leading to the unfortunate internment of Japanese-Americans? 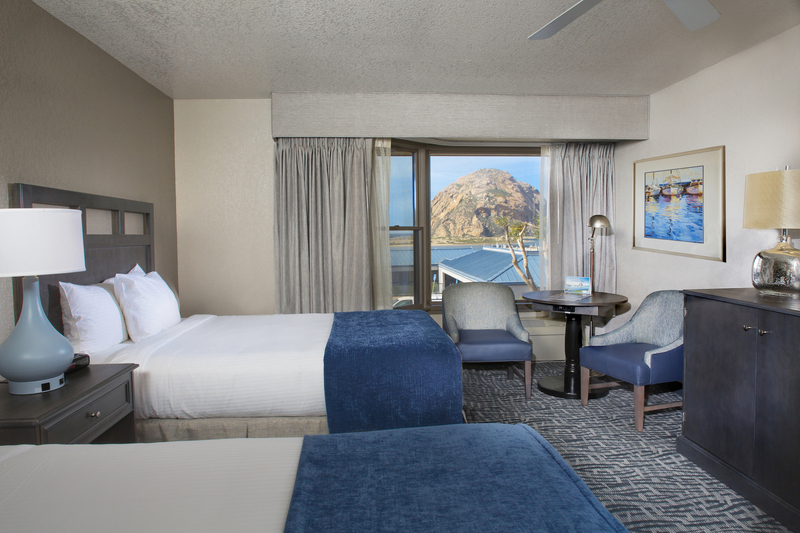 Morro Bay lies in the middle of California’s Highway 1 Discovery Route’s “101 miles of adventure.” Stroll the Embarcadero and take in the museums, art galleries, curio shops, boutiques, charter/fishing boats, etc. Stop by the MCV tasting room, www.MCVwines.com, to sample their excellent wines. Follow the Embarcadero path out to Morro Rock, one of California’s most photographed spots, a designated State Historical Landmark. 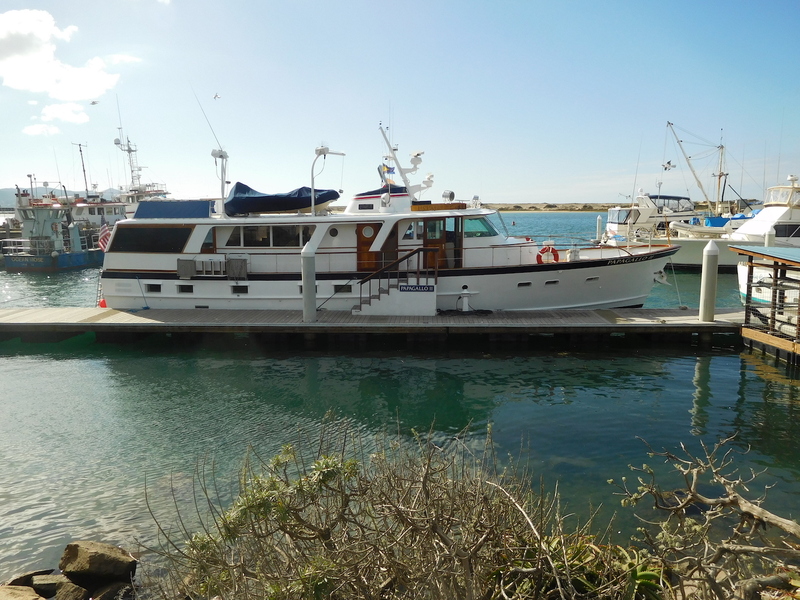 An easy walk is the .6 mile Marina Peninsula Trail which loops by the Morro Bay Estuary; keep your camera handy. The area is an agricultural cornucopia; farm to table dining, the freshest seafood imaginable, plus local vineyards and wineries galore. 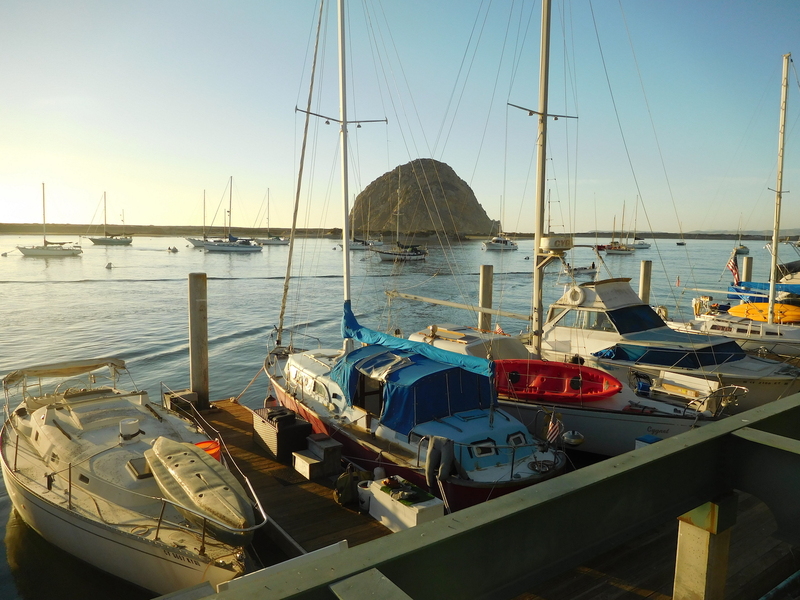 My restaurant recommendations are all conveniently clustered along the Embarcadero overlooking Morro Bay and the Rock. Thanks to Jerry Praver for his interview time and for providing a copy of his well documented manuscript, The Sinking of the Montebello. Also to the Historical Society of Morro Bay for Images of Morro Bay written by Roger Castle and Gary Ream (Arcadia Publishing). Kudos to SGM Daniel Sebby, State Military Museums Curator, for his insights and personal tour of Camp San Luis. Finally, thanks to various websites, etc., for information and photos. This entry was posted in California and tagged blue sail inn, CA, highway 1 discovery route, Morro Bay, road trips. Bookmark the permalink.